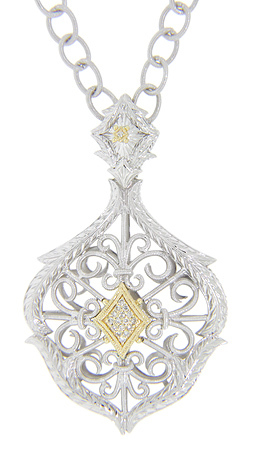 This sterling silver antique style necklace is decorated with 18K yellow gold and diamond accents. 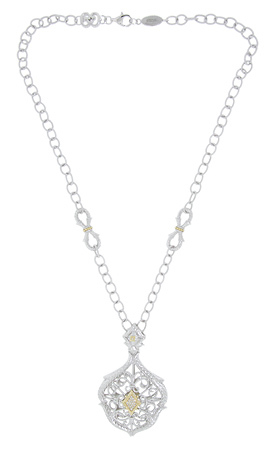 The sterling chain measures 17” in length and features a pair of figure-8 ornamental linkages. 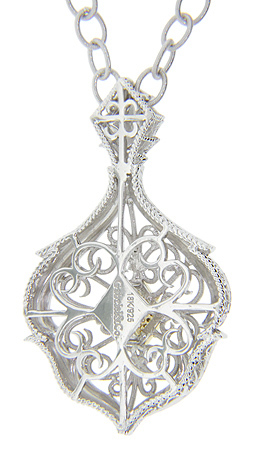 The pendant portion of the necklace measures 2 1/4" in height by 1 3/8” in width.